Making a House a Home: Happy National Pie Day!!!!!!!!!!!! Okay, well, yes, I will admit that I am a day late, but still, y'all, let's CELEBRATE!!!!!!!!!!!!! I do have a good excuse for missing yesterday. A sweet lady from church and her granddaughter and grandson-in-law invited us to go out to eat with them after church. I had planned on celebrating National Pie Day yesterday, but I think celebrating dear friends visiting is way more important!!! In honor of the day, I chose to celebrate with a simple quiche this year!!! Nope, no dessert pie here this year, but in it's stead a yummy and super easy bacon and cheese quiche. Yum!! 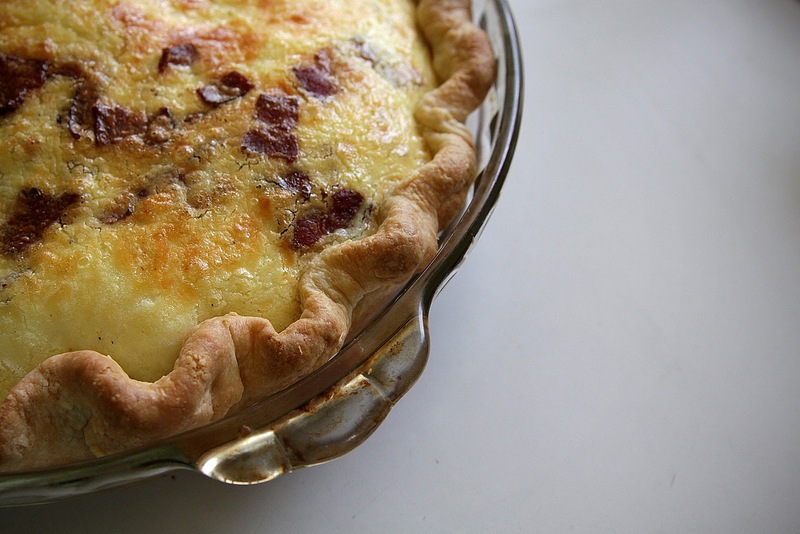 Place bacon and cheese in the bottom of the pie crust. In a bowl, whisk together remaining ingredients and pour into pie shell. Place on a baking sheet and bake at 375 degrees for 40 to 50 minutes until center is puffed. 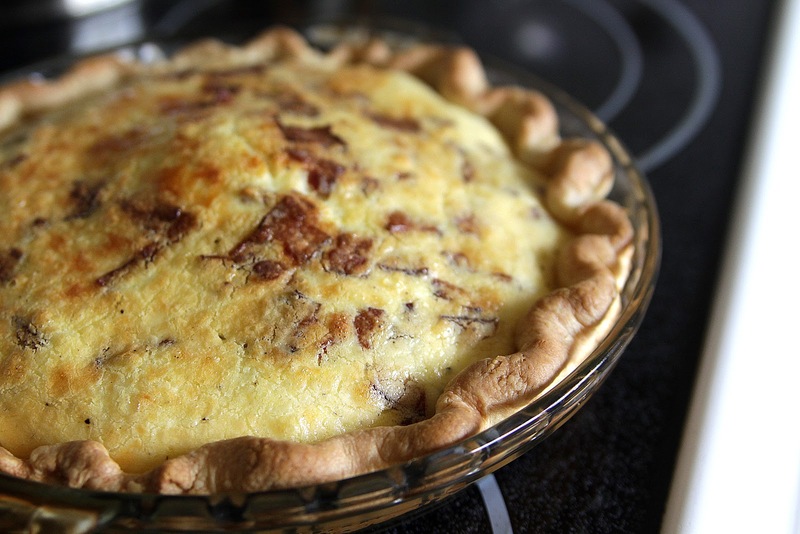 Allow quiche to stand 5 minutes before cutting. A blogger friend and I participated in NPD as well as a few other members of our church! Looks good, didn't even know about NPD. My husband missed out! Are you kidding? There's a national pie day? I need a reason to fall off the diet wagon...lol.